After I’ve uploaded the video of Kaden reading at 3 years and 9 months old, I quickly realized the poor quality of the sound coming out from the video. I’ve received feedback that viewers could barely hear what he was reading about. I’m having a hard time hearing it myself. Oops. I also came to understand that I shouldn’t take a video a short distance away from Kaden. Like I’ve done previously in his two earlier videos, it’s much better when I videoed him reading just right besides him. Furthermore, I can also take video of the text that he’s reading from at this angle. Lesson learned! Anyway, here’s the video I took recently of Kaden reading at 4 years old. The book he read from is “Bad Weather, Good Weather” written by Pierre Latour. It’s a short reader passed down from one of his older cousins. My sister was kind enough to pass me a collection of these guided reading books her two older daughters have outgrown. These guided reading books are produced by Macmillan under a series called Springgboard. 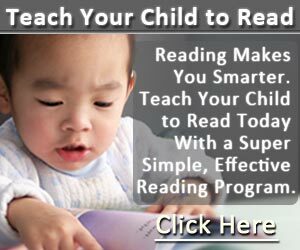 If you like to teach your toddler or young kid to read, you can check out this simple and highly effective children reading program I’ve used to teach Kaden to read since he was a toddler.